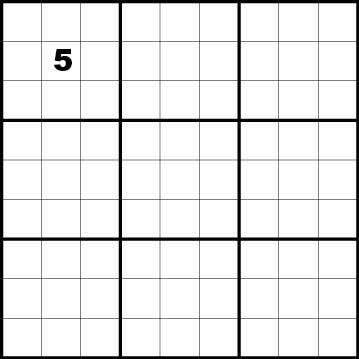 Quick -- What is the definitive correct answer to this particular Soduku puzzle? It's an impossible question, right? There are multiple valid solutions to this problem. If someone insists there is only one right answer, you tell them to fill in more of the squares. This Soduku puzzle offers an analogy for your business use of data analysis techniques. Let me explain. As a business manager, you know there is an adjustment that needs to be made. You have a flood of data to choose from, but lack the tools to harness that data for decision-making. You know the answer is out there, but it is buried or out of reach. You need to fill in those missing squares. Squares that represent some aspect of how your business is performing. If this sounds familiar, consider how practical applications of data science techniques can benefit your business. We are talking about exploratory data analysis, statistics, data visualizations and machine-learning. It's a combination of tools and techniques that help you get out of the data-rich, knowledge-poor trap. This is where our skills converge together. Your knowledge of the business combined with our data navigation skills. Together, we can draw meaningful conclusions from your data that go beyond standard reporting. Machine learning techniques (to choose one example) are being leveraged by a growing number of businesses. There are a great diversity of tools and techniques to draw upon. Organizations sometime inherit databases as part of a merger or in some other manner. We can help make sense of these datasets for which you are not familiar. We use tools from Microsoft and Redgate software to complete a detailed analysis of such databases. We identify relationships between tables, measurements of data completion and the domain/range of values. Through data discovery, we can summarize the content of any dataset. Today there are a variety of free and fee-based data resources available. Our company is familiar with these sources and we can help you choose sources to compliment your business objectives. These can provide validation to your back-office systems or as aids to marketing efforts. Our company can help you design and populate a database designed purely for reporting purposes. It is periodically refreshed from your daily transactional database and gives your organization flexibility for handling historical data and expanding reporting options. These steps go beyond the restatement of data facts and towards the interpretation of data meaning. These services offer statistically derived measures and statements about trends in your data. Thinking about your business, are their parts of your Soduko grid that we could help you discover? This article about pattern identification in the College Scorecard data may trigger some ideas.